For each new tab it’s essential to select the layout to combine, by chooosing from eight different typologies: editor, video gallery, image gallery, faq, download, map, contact and shortcode. Before getting deeper, it is better to specify an important detail. In the Layout section of every tab, you can find the option Use the content for all products. 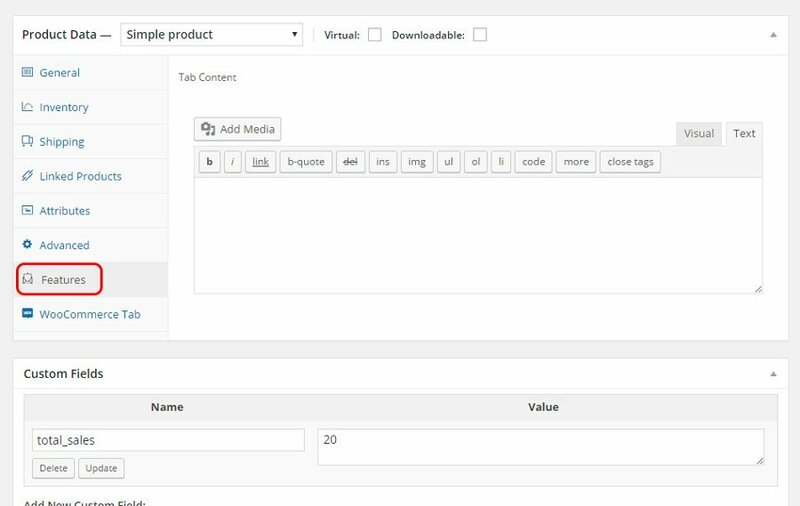 With this option you communicate to the system to add the tab in the whole range of products selected in the “Settings” section of the tab. 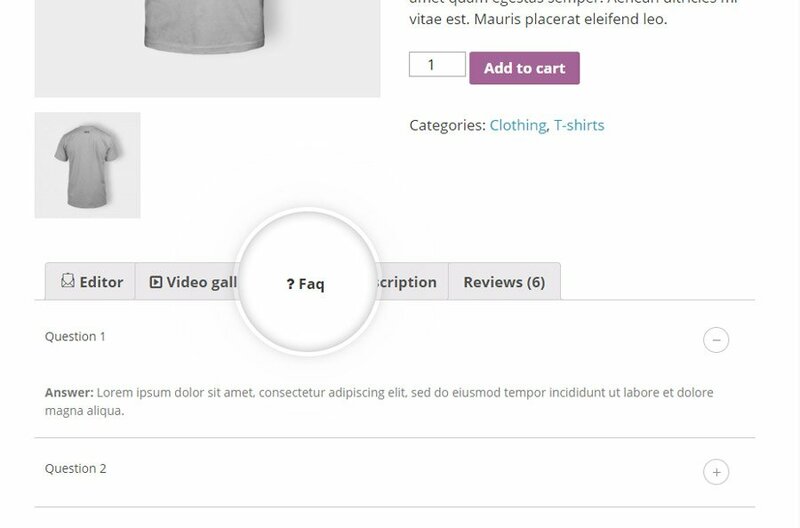 However, you can customize every tab that you have created directly from the WooCommerce product page. 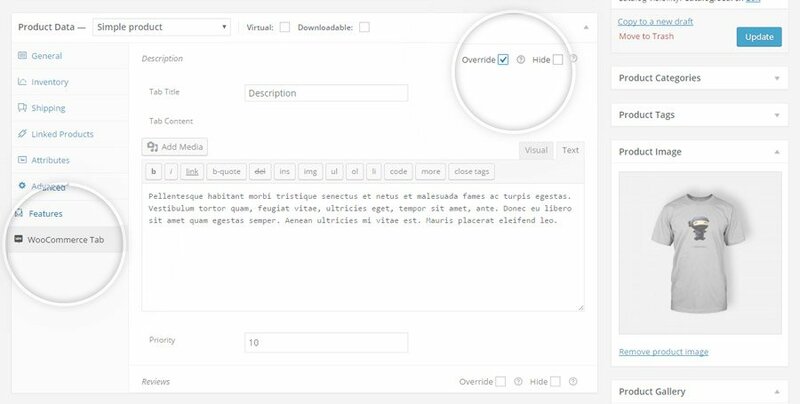 The “Editor” layout lets you add text in your tab with the classic WordPress editor. You can also use HTML tags. 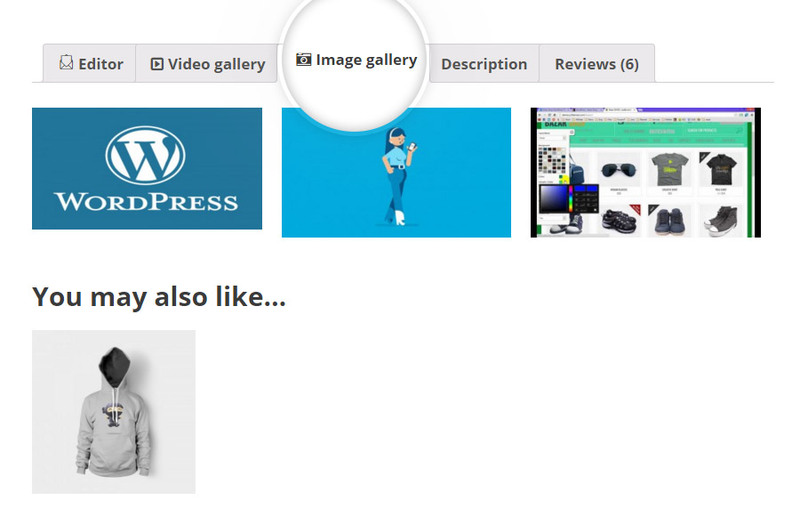 Choosing the “Image Gallery” layout, you can select one or more images to show inside a tab. 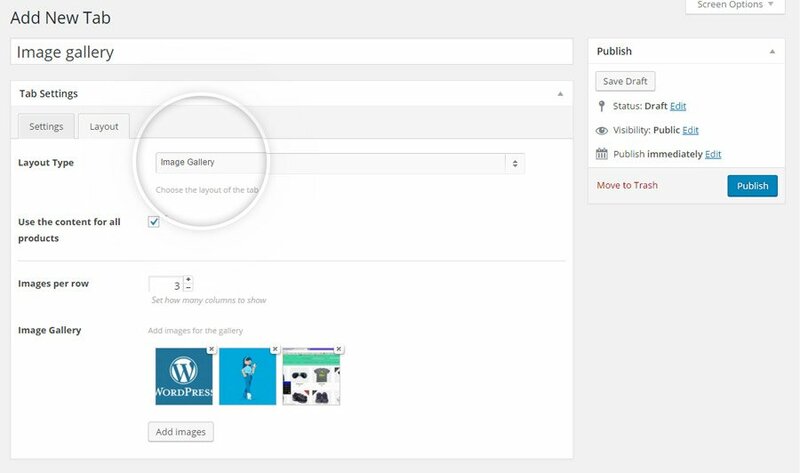 Click on Add Images to make a single or multiple upload, and select how many images you want to show for every row with the Images per row parameter. This is a possible outcome. The “FAQ” type allows to add a FAQ list in the tab. 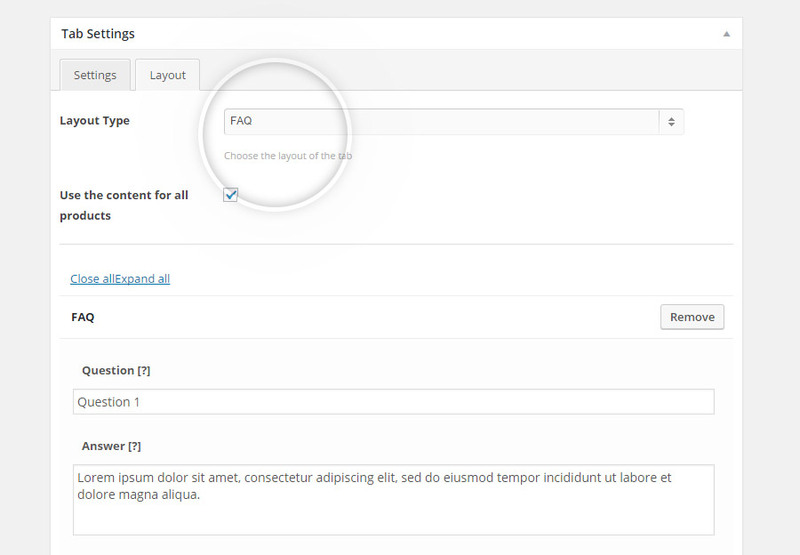 Click on the Add FAQ button to add a new FAQ and add the question and the answer in the related Question and Answer fields for each FAQ. 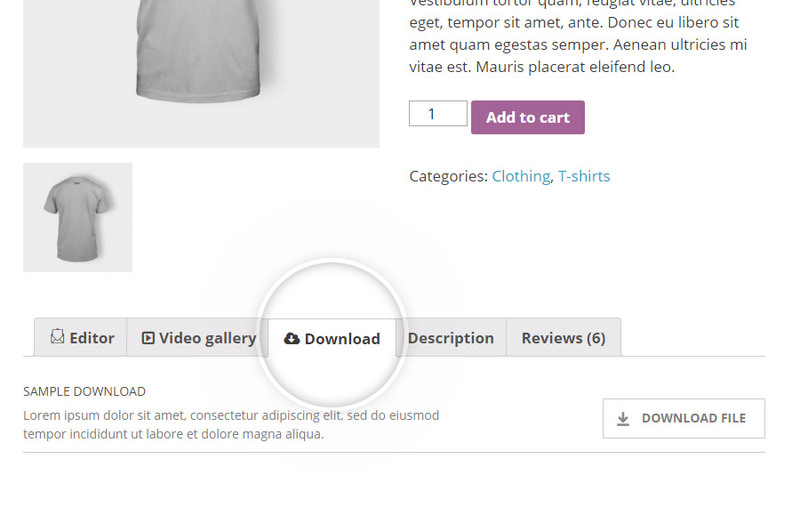 The Download layout lets add one or more file you want to offer to your users to download. 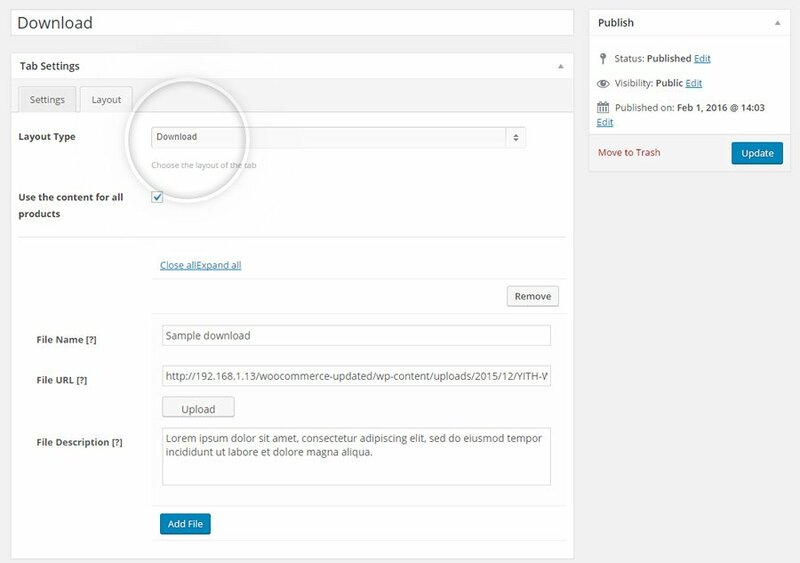 Click on the Add file button to add a new file and write the name and the description for the file you want to show to your users.